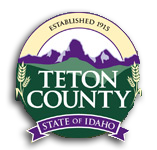 The County Commissioners serve all of Teton Valley by making decisions which will ensure the County's economic and environmental future; as well as the health and safety of the residents. The Board of County Commissioners are elected by the voters and represent the three county precincts. You may contact them at commissioners@co.teton.id.us or individually. To view the County Commissioners' calendar for 2019 click here. The Board meets on the following schedule to discuss, deliberate and vote on the day-to-day business of the County.